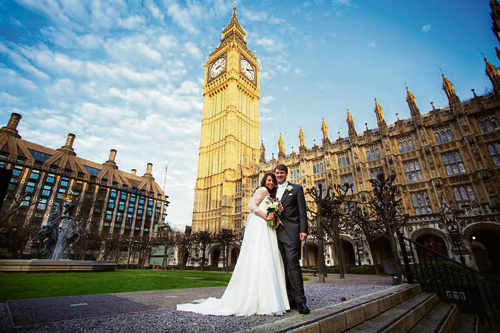 Kingswood MP Chris Skidmore married his fiancée Lydia Wilson at St Margaret's Church, next to Westminster Abbey on Saturday November 29. The couple, who live locally in Willsbridge and have a sixteen week old daughter, Clementine, were married by Canon Rev Andrew Tremlett, who previously was Acting Dean at Bristol Cathedral. The reception took place at the House of Commons, and included a cheese cake featuring local cheese made at Kelston Park.